I am writing to you to ask for your help as Patron of the British Homeopathic Association. But first I must say that I am somewhat surprised that you have taken this position. You were one of the people that inspired me to be interested in the natural world and to take a career in science. Your enthusiasm for botany, wildlife and the environment will be remembered by many of my age. But now after a training as a scientist, I find homeopathy to be utterly absurd. However, I that is not why I want to write to you. Homeopathy within the NHS looks like it is on its last legs. The BHA exist to promote homeopathy within the medical profession. They are doing a pretty poor job. According to the Telegraph today, spending on homeopathic prescriptions has plummeted eightfold since 2000. If this decline continues, we can expect no prescriptions to be written with public money within a year or two. That will place the BHA in a difficult position. I am not sure why homeopathy has declined so precipitously. But the very vocal campaign over the past few years against the provision of this superstitious form of medicine with public money may have played a part. I cannot be sure since I know that correlation does not equate with causation. Homeopathy within the public sphere has been declining since the formation of the NHS with it almost disappearing entirely in the ‘70s. There are not any real homeopathic hospitals left at all now – just a few small clinics clinging on. Tunbridge Wells homeopathic hospital closed down a few years ago and the Royal London Homeopathic Hospital had to stop pretending it was a real homeopathic hospital in its own right and changed its name to the Royal London Hospital for Integrated Medicine. Maybe we are just seeing the tail-end of a long decline. But there are voices who are stopping PCTs referring patients for homeopathic treatment and many more people are now aware and shocked that the NHS still spends money in this area. I can quite see doctors practicing homeopathy will be forced into private practice before to long. So why am I writing to you? I don’t think that this small band of NHS doctors would have attracted anything like the attention they do if they had done something very straightforward: and that is, set an example of responsibility to the large number of non-medically qualified homeopaths who practice homeopathy in very a dangerous manner. The worst examples of this included UK homeopaths who travel to Africa to treat people with HIV, TB and malaria. They are fundamentalist in nature and tell patients that they do not need conventional medicine and that homeopathic sugar pills are all they need to prevent and treat these lethal diseases. Abha Light in Kenya was recently exposed by the Independent giving lethal advice to an undercover reporter. Jeremy Sherr in Tanzania is equally reckless with his programme. The lay homeopaths have done nothing to stamp out this practice. Indeed, they raise funds for ‘charities’ that help in these people’s work. It also appears that the Faculty of Homeopathy (who are really one and the same with the BHA) are also fundraising for Sherr. I’m very angry about it because people are going to get malaria – there is absolutely no reason to think that homeopathy works to prevent malaria and you won’t find that in any textbook or journal of homeopathy so people will get malaria, people may even die of malaria if they follow this advice. Fisher was correct that people will die. But he was wrong that these practices are not in any ‘textbook or journal’. Homeopathy is awash with such ideas. The BHA even highlighted a very suspect trial from Cuba that claimed homeopathy could prevent the lethal disease, leptospirosis. This was extremely irresponsible in that should homeopathy be relied upon to prevent outbreaks, then people will undoubtedly die. Homeopaths around the world point to the NHS and the BHA as justification as why they can do what they do. That is the main reason why I oppose NHS homeopathy. If NHS homeopaths condemned the dangerous practices of missionary homeopaths then I am sure they would not meet such ire. But as they do not, the BHA and its members are part of this serious problem. So, Professor Bellamy, as a trustee of the BHA, can I ask you to appeal to the organisation to take a firm and unequivocal stance against homeopaths using their products to either prevent or treat serious diseases such as HIV, malaria and TB? Can I ask you to make a firm statement yourself that you condemn this murderous use of homeopathic products? Whilst I cannot speak for all critics of homeopathy, a step like this would make doctors who use homeopathy in the UK look like more of a part of a solution to these problems. Without such statements, then I can assure you I will still be doing my bit to rid the NHS of homeopathy. Can the BHA make a last minute stand for a more rational and progressive form of homeopathy that uses placebos where they might make a difference? Can they confront the obvious ethical issues and show that the benefits of the consultation and placebo outweigh the obvious deceptions? Can the BHA make a stand against the aggressive delusions of lay homeopaths who cling to a fundamentalist notion of the evils of mainstream medicine and the Truth of homeopathy? I think only a few people are capable of turning the tide for UK homeopathy. Perhaps you are one of them. I urge you to confront these issues and help save lives – and maybe just, UK homeopathy too. Will you also post the answer? It would be very interesting. Not having Prof Bellamy’s email address, I sent the email to the BHA and asked them to forward it on to their trustee. 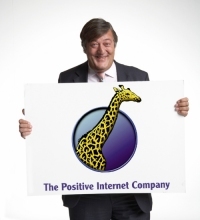 Being a professional organisation, I trust they will do this. The professor’s views on climate change are also utterly absurd. this letter is interesting: the stick and the carrot. in practice, that is how science advances, no ? not that i disagree, i prefer dialectic provocation in all my discussions. hope you get through. Damn! 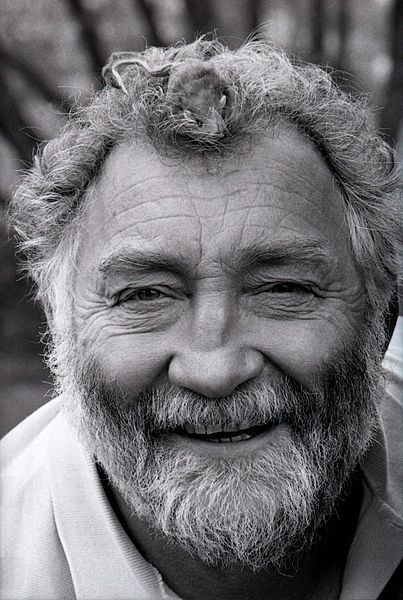 I’d seen the name David Bellamy a few times and always assumed it was a different David Bellamy who’d abandoned science for magic. Now I’m sad. Might go and super dilute an onion to hold back the tears. 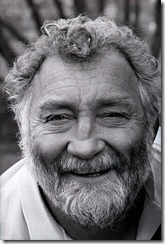 Wikipedia lists quite a number of institutions that David Bellamy patronises. All are more far professional than the society of homeopaths. I think most of these are much more likely to forward your mail. First, the legend that is Johnny Ball falls of my repsect ladder (a peculiar incident a 12 lessons and carols for godless people a while back), now David Bellemy. Next you’ll be telling me that Brian May is into astrology, or Magnus Pike does Feng Shui. According to David Bellamy are this homeopaths fundamentalist in nature and tell patients that they do not need conventional medicine. Strangel, for according to these three cases mentioned here, see the link, all those on conventional medicine. And I can not see any place that these patients are advised to stop alloptisk medicine, or to stop to see a doctor? David Bellamy’s view on Climate Change is spot on. The proof is on the way. Ice Age.